Huxtan produces high quality Leather & Canvas bags & accessories. 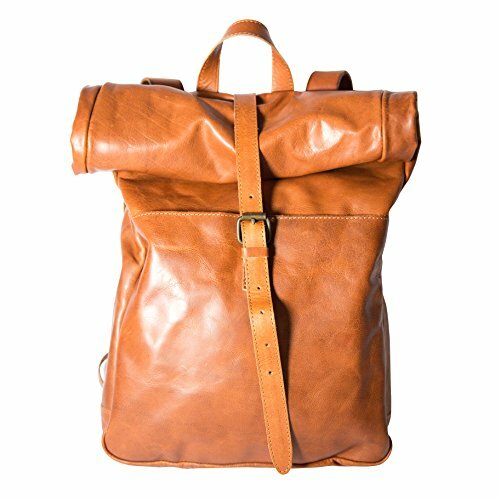 This bag is made of Vegetable Tanned Leather. It has a Vintage Look & Feel, as well as Antique Finish Brass Hardware & Copper Rivets. The Leather Straps are adjustable and it contains an interior leather laptop sleeve as well as an exterior front pouch for easy access. The approximate size is Approximate size is 12.5" X 17" X 4". Approximate size is 12.5" X 17" X 4"
If you have any questions about this product by Huxtan, contact us by completing and submitting the form below. If you are looking for a specif part number, please include it with your message.